A 20-year master plan has been updated to meet city, community and airport needs. 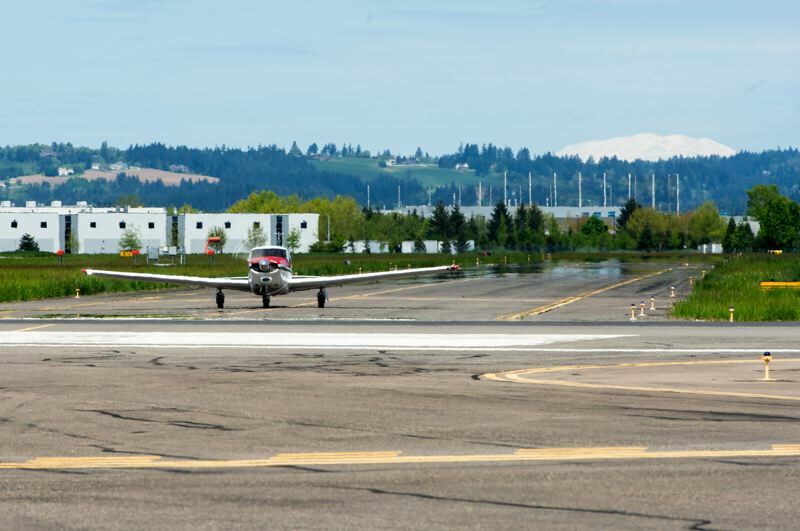 After almost two years, work on an update to the master plan for the Hillsboro Airport has finally come to a close, as the planning advisory committee held its ninth and final meeting Thursday evening, Dec. 13. Since February 2017, a committee of community members — including Hillsboro city volunteer and neighborhood activist Kimberly Culbertson, former Hillsboro mayor and Washington County Commissioner-elect Jerry Willey, City of Hillsboro planning director Colin Cooper, and Metro Councilor-elect Juan Carlos González — have been working on a plan to decide what residents and government officials would like to see in the airport's future over the next 20 years. Earlier this year in June, the committee announced it had reached a decision on which of the handful of proposed plans the group would take to the Port of Portland, which operates the airport. 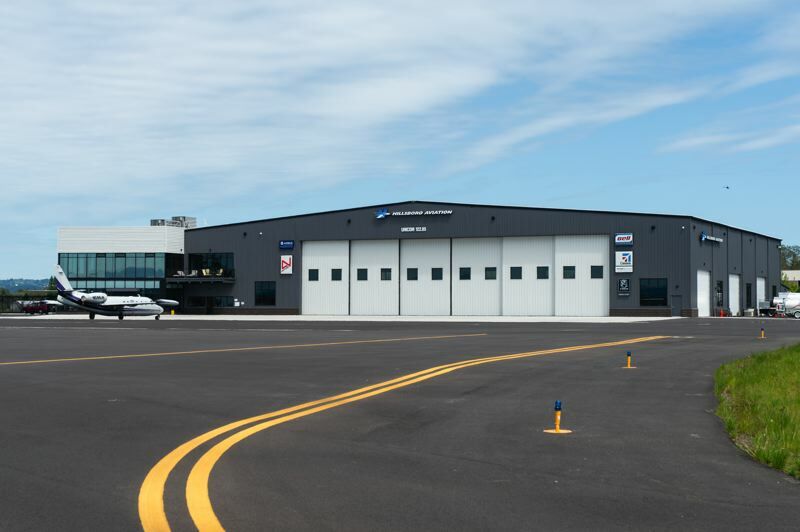 The master plan update will be presented to the Port Commission on March 13, 2019, and commissioners are expected to review and ultimately adopt the plan, said Steve Nagy, Hillsboro's airport manager for the Port of Portland. The community is encouraged to attend and speak with port officials then. The update has been broken down into three development phases, the first of which is expected to begin in 2020. The first five-year phase includes redevelopment of the nearby hotel, the Comfort Inn, 3500 N.E. Cornell Road; development of the land on the north side of the airport near Evergreen Road, potentially for a small industrial park; and developing a cross-field taxiway to improve efficiency for aircraft getting from one side to the other as a time, cost and environmental savings, Nagy said. In the second five-year phase, the plan includes redevelopment on the south side of the airport near Cornell Road, the Cornell "subarea," working in conjunction with the development plans for the new Event Center at the Washington County Fairgrounds to provide commercial uses like shops, restaurants and hotels; and replacing the airport's terminal to improve the building's amenities in a way that would allow it to be expanded for more regional terminal use in the future, should it be desired. "We have left space in that terminal area redevelopment for that kind of plan," Nagy said. "We are trying to meet more of the immediate need in the first five years, but also not box ourselves in for whoever the next generation 15 to 20 years from now is. We wanted to make sure there was enough space around everything." The final, 10-year phase includes further development near Evergreen Road, potentially extending Springer Road to Brookwood Parkway. "This would completely be in cooperation with the city in the longer term," Nagy said. Connecting the roads would open up the airport's property and could assist with the traffic flow around the north end of the airport, Nagy said. But it would be dependent on whether the city would find it beneficial in the future, he added. Hillsboro officials are working to open up land north of the airport to more industrial development, including high-tech, manufacturing and business park applications. About 1,100 acres in between the airport and Highway 26 to the north are included in an industrial renewal area called North Hillsboro. The final phase of the airport's updated plan also includes potentially relocating the Hillsboro Aero Academy flight school from its home on the south side of the airport to the airport's northern edge once its lease terminates, moving it closer to the small runway it uses; and continued development of the Cornell subarea. Committee members have worked on the plan update for months, hosting a series of community meetings, open houses, question-and-answer meetings, and other public feedback sessions, including a virtual open house with a survey that garnered about 1,000 responses, Nagy said. Those involved in the planning have worked actively to address the main concerns of the community, said Dave Nafie, a consultant with WHPacific Inc. That has included seismic upgrades, noise and air quality, community access to the facilities, stormwater, and focused site planning for the subareas on the north and south sides. "Those specialized areas of interests, we have been covering all along," Nafie said. Nagy said he feels confident in the amount of public input the committee has heard and used to create the master plan. "I've been involved with the last master plan that we did at this airport, I've been involved with master plans at other airports, and this was the most robust community outreach that we have done," Nagy said. "We also really put a lot more effort into hearing inclusive voices. We worked with minority communities — people who don't traditionally come out to a public event or a forum or give their opinion — we really tried to improve that this process too." The Port of Portland's community affairs director, Chris White, also proposed the idea during last week's meeting of creating a committee that will work to keep the community informed on projects at the airport as the plan unfolds, as well as continue to gather input from the public before decisions are made in the future. Willey, who also served as the planning advisory committee's chairman, thanked the group Thursday evening for their participation in the lengthy planning process. "Looking forward, it's going to be exciting to see the transition over the next five to 10 years," Willey said. You can all say, 'Well, I had my thumbprint on some of those decisions and some of the direction that the airport and the Port of Portland is going.'"